Fall is in full swing and with that brings amazing colors, crisp, cool air and fabulous weather! Treat yourself for the Thanksgiving holiday with one of this month’s specials. Start off with a Therapeutic 1 Hour Massage from our 5 Star Reviewed massage therapist, Joe! $5 off the Therapeutic Massage only! Mention coupon code 1953. Don’t neglect your gorgeous toes! This holiday season, we suggest you indulge in our Vanilla Wild Plum Pedicure ($42.95) with your choice from our latest collection of OPI XOXO 2017 Holiday Collection. Have your toes holiday ready! If you’re looking for the perfect gift, our gift cards are a big hit! Purchase in our salon, online and through our Facebook page. How about a NEW REDKEN copper color for fall? Or color melting? 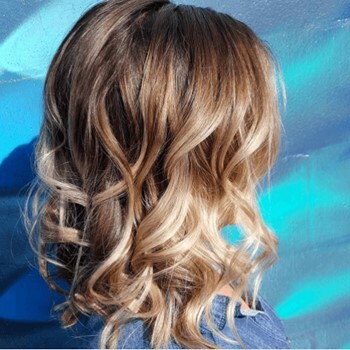 Color Melting is when a stylist applies several colors to the hair and blends them seamlessly. This means no harsh lines or highly visible transitions from color to color! Beautiful don’t you think? Your Scruples Stylist will give you an AWESOME look! We wish all of you a wonderful Thanksgiving Holiday!